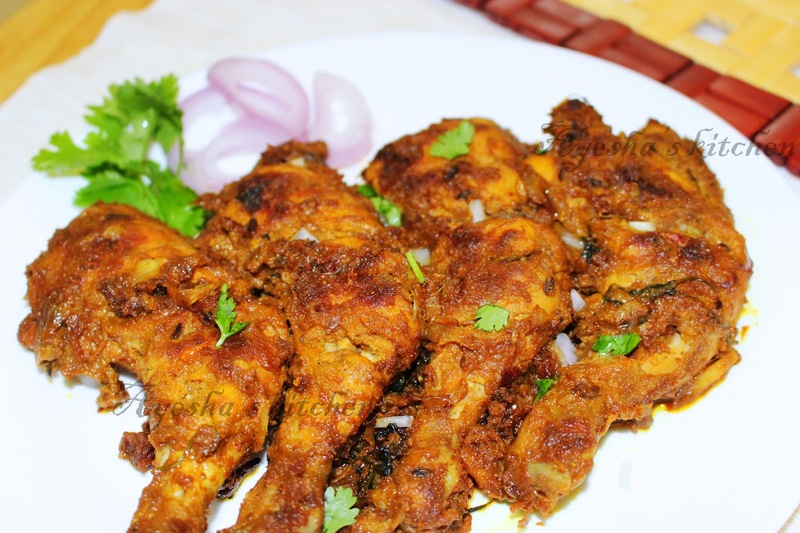 Roast chicken is a very popular dish, that appears in a wide variety of cuisines worldwide. In India itself it is called by different names such as TANDOORI CHICKEN, CHICKEN TIKKA, etc..Like wise US, UAE, AUSTRALIA and many other countries have their own popular dish consisting of roasted chicken. Marinate the chicken with turmeric powder, chilly powder, coriander powder, and salt. Let it stay for 10 minutes. Meanwhile prepare the gravy. For that heat 4 tbsp of oil in a wok. Splutter fennel seed and cumin seed. When done add cloves, cardamom, cinnamon stick, star anise, bay leaves and saute till a fine aroma comes. Then add sliced onion and saute till golden. The onion must be sauteed well in a medium flame till golden and then add garlic curd paste. Again saute well on a medium flame. Let it cook well with lid closed in a medium flame. After few minutes, cook with the lid open till the whole gravy sticks to the chicken. Flip the chicken occasionally. check for salt and finally add coriander leaves. 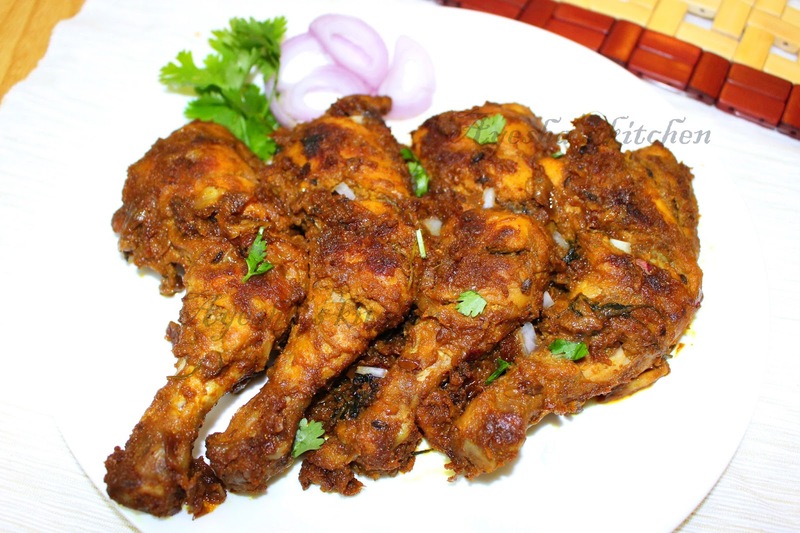 Our delicious roasted garam masala chicken is ready.